Before I go! | DO NOT feed the back packer! DO NOT feed the back packer! Things that are on my mind pre-travel. When leaving the UK for more than a tax year we may be entitled to a tax refund, the company who set up my visa offered to claim it on my behalf … for a fee of course! All I had to do was read at the bottom of my P45 and it told me to download a P85 (click the link to the form), simply fill in the form, send with your P45 and wait for money to go into your bank if there is any due. It obviously depends on payments you have made to the tax system so not everyone is entitled to a refund, however, if you don’t call them or fill in the form you will never know. Best of all, no fee! In truth packing is the worst nightmare for me, yes partly because I am a clothes and accessory loving female and partly because I have never been away from my home comforts for such a long period of time and who knows what I may need on my journey?! 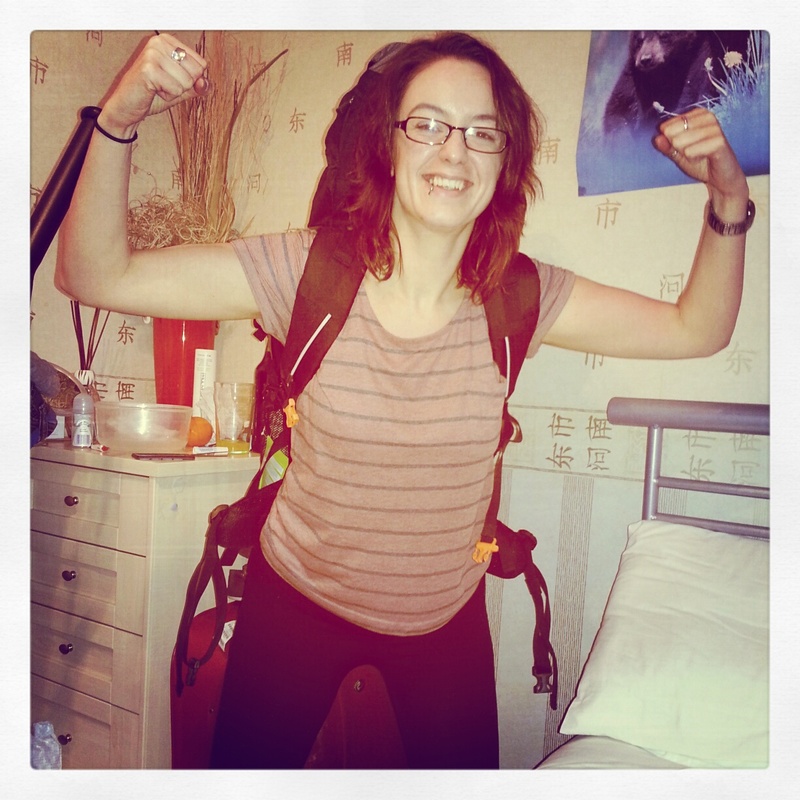 I want to be practical, keep fit and be me and wear the things I like, I listened to Anita who said a 65L pack would be fine … really?! As it turns out for the first time she was right. We decided to take our old cases and pack our back packs inside them (we did test what we were taking actually fit in them so give us a little credit before you dismiss us for idiots) for the first leg of the journey, sounds silly but we will be staying with friends for our first couple of weeks and Neet has skin like a ginger and burns badly so we have had to take a few bottles of lotion to start us off. I have put on a little weight even though I’ve been hitting the gym hard, probably because I’ve been eating hard as well (hanging head in shame and self pity). However, most of my clothes still fit even if a little snug. When packing it really is important to look at the weather, the Aussies are having a real heat wave at the minute and anything respectable we need for Asia can be bought in Aus just before we leave in over a years time. The trouble was Rose (mother in law) had done what she does best in the way of hiding my bikinis when she had washed them after our last family holiday, I have spent the last week hunting in the attic for them only to find them at the last minute and shove them in my case. So, it’s shorts, tanks and tees. Most of mine fold up really small and with vacuum bags that’s great, or so I thought. My problem is I can’t chose and I hate to be without my favourite items plus I need to fit in footwear, underwear, toiletries, girl items and my miscellaneous items (Kindle, journal, pencils, ipod, phone, etc). So began the nightmare of “but I need it” and “it’s really small it rolls up tiny” and “I need those for the beach and those for going out” and “but I bought it especially for travelling” and “lets just stop packing and put our niece in the bag instead”… and so on! You may think I’ve packed too much, and you may be right but I have taken quite a few items that I don’t mind chucking once they have served their purpose or when I realise I over estimated. As they say you live and learn and I hope I will learn the “tricks of the trade” so to speak of backpacking. You must remember this is completely new for us and no matter how many tips we look at online each person values many different items. Let’s see how much of it lasts the test of time, and lets see how much I ditch along the way? I think I will repost a packing list when I figure out what are essentials and what isn’t, probably just before I go to Asia so watch out for one retrospectively. I know I will need other items of clothing to be respectful to other cultures when I leave Australia, but I’m not going to the wilderness, Australia has shops and I have a working visa. By 22:00hrs tonight I will be Sydney bound! Bye Bye England, it’s been emotional! Planning for the trip of a lifetime. What planning does it take? How much more is left? It’s ok to say that to really backpack around a good chunk of the globe that there really should be no plan. How I wish that were true…It’s not, well not for us anyway. We had been renting a 3 bedroom house for 6 years, we had boat loads of stuff to move, throw, donate, sell and even keep for our return. we had to organise new bank accounts, visas, flights, somewhere to live, notice for work, things to buy/take, vaccinations to have, medical conditions to sort, families/friends to spend time with, events to attend, studying to finish, Christmas to buy/wrap/give, holidays to go on, gym to attend and a 60 hour working week to attend. All of this and we still had to save money…we’ve done OK with that. We don’t have as much as we’d like but we have more than enough for what we (hope) need! Being 25 and deciding “Right, I’ve had enough of this life. I live to work and I should be working to live!” is a difficult time in any persons life, but then you have to decide how to change it. I’d always had dreams of going travelling but never thought it would happen in reality. I’d started higher education late and the recession was making it really difficult for me to get into a new company and establish myself and it really wasn’t for lack of trying and then the clock is ticking to be applicable for an Australian working visa. So we decided to do it, but we had to sort the house. We rallied as many friends and family members as we could to help us organise our house, I took time off work to pack it all and poor Neet had 2 slipped discs and was useless to me. We did it we got our stuff safely store and moved in with my Gran for 6 months … what an experience that has been. Pre loaded cash cards (£2000 annual limit). world pay which costs a meagre £5 to transfer money or £9 with world pay to your Australian HSBC account for up to £2000 and then only 17AD for anything over that up to £50, 000, what is there to complain about with that? Red24 (click the link for case studies of how they have helped) they are literally the A Team on the end of the phone, they offer travel advice and they can get you out of a sticky situation in an emergency. 24hour telephone and internet banking. Emergency cash, HSBC really is the worlds local bank and any branch can help you organise emergency cash or they can do it over the phone. We opened a HSBC joint account in Australia once we realised it could cost around £40 to send the money and a receivers fee to the Commonwealth Bank, whereas the HSBC account can be linked to our joint account in the UK via global view and transfers cost £5 to send and £5 to receive. Another benefit of two HSBC accounts being joint comes back to when we leave Australia we will only pay one transfer fee between us to send money to our home account. The HSBC has partner banks who’s ATM machines can be used free of charge so it really is convenient to have. Overall we are glad we have two accounts in Australia because now we have one for our wages and one to save in for tours or sending back home and no matter where we are there is an ATM we can use free of charge. My advice is make sure you know as much as possible about bank charges before you leave the UK, I still don’t know them all because it is really difficult to find a document online or in branch that details everything completely clearly. Vaccinations – I talked about vaccinations a lot in this post a while back so I’ll mention them briefly here. We decided it was only worth getting some items here as the others can be done in Australian Clinics for pretty much the same price as over here even with the exchange, over there we will be living off what we earn rather than paying for house, car, bills, shopping, holidays, etc. So in theory, I say in theory because I have absolutely no idea until I get there, we should have more disposable cash. 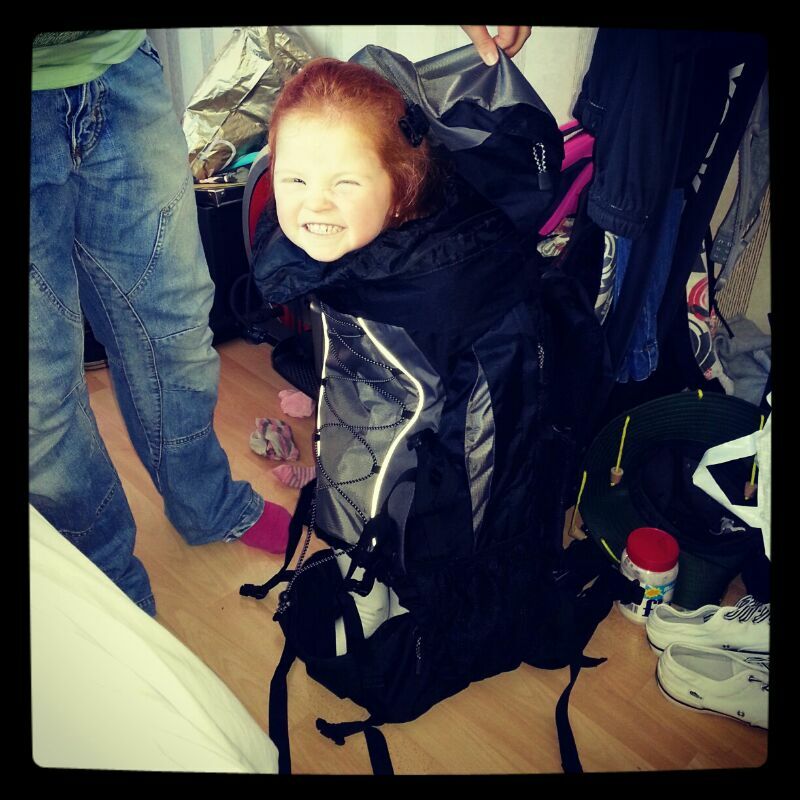 BACKPACK – We have 65L backpacks that we bought from Tesco, we checked all the out doors shops and all the ones that opened to access each end easily and had suitable locking capabilities for security were over priced and overrated. We really found our packs completely accidentally when doing our food shop and for £30 (now reduced to £20). They are a bargain, loads of pockets accessible top and bottom, lockable and comes with it’s own rain cover! Sleeping Bag Liner – Ok so I’m not expecting Aus to be filthy but some of the reviews for Asian hostels reveal some doubtful ideas about hygiene, so we bought cotton liners from Tesco too (sorry I couldn’t find them online to link them). They were cheap and fit for purpose … great! Microfibre travel towels – Mountain Warehouse we salute you. We bought the mega and the small clip on ones, we are hoping to do a lot of travelling by bus, coach or train and don’t want to be searching for our big towels when just having a quick wash at a service stop. Zip Off Trousers – Again Mountain Warehouse had great quality products they were soft trousers that weren’t uncomfortable and idea for trekking. Mosquito nets – We will buy these closer to when we go to Asia as impregnated nets have expiry dates. Foldaway Rucksacks – just for day trips, some big packs have small packs zipped to the front but if yours doesn’t have that design one of these from Amazon are ideal (always check reviews). Small first aid kit – For obvious reasons. Types of clothing: A good hoodie, long trousers, shorts, leggings (girls only of course), long sleeve shirts (to cover up in areas where you should be respectful), thongs (not the up your bum kind but the between your toes kind), hat, dark underwear and socks (repeated washing makes them not so nice), good pair of walking shoes/trainers. all these along with a couple of tees, tanks and a bikini (or 2 if you can fit one in ;)). There is only you who can decide if you are going to be completely practical or fashion forward (I’m aiming for somewhere in between if I can help it). TIP: Travel Vacuum bags, they are a life saver when condensing clothes. 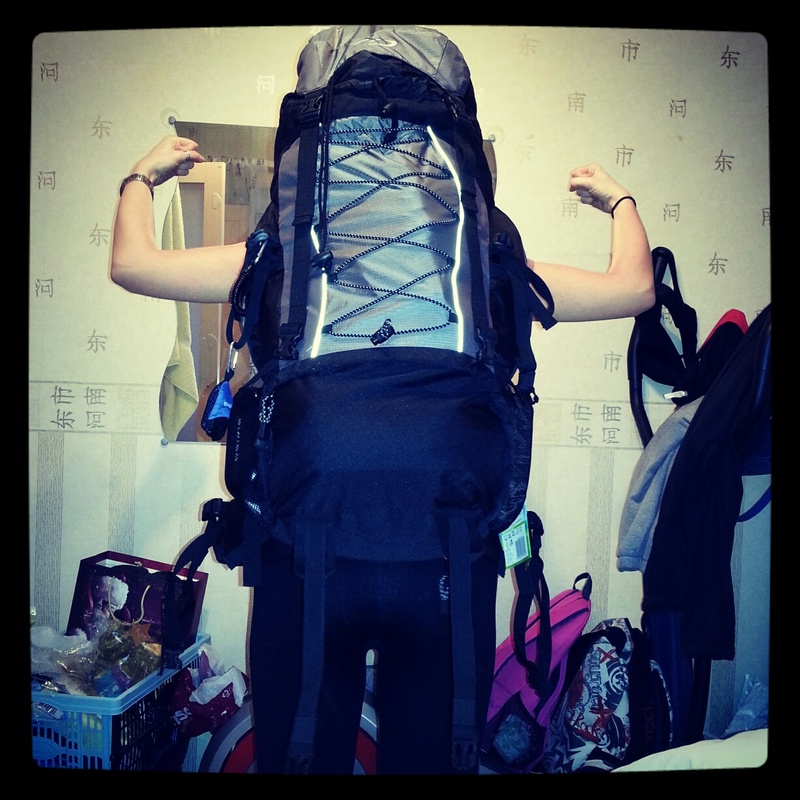 Bare in mind the more you fit in the heavier your pack will be so don’t go over board. TIP: Practice pack, take it out, half it, pack again, take it out again, half it again, pack it again and you should be good to go. So for now that’s about as far as I have got, I’ll update once I’ve actually packed. Hopefully that will be some time before the day of departure, if not I’ll have to wing it. So, Where have I been? Before Anita and I met I’d been on a few family holidays and my first was Tunisia (never again), Crete (beautiful place and people), Magaluf (foam parties and brawls) and Fuerta Ventura (drunk family and burnt bottoms). Then Anita and I met and she really taught me how to enjoy travelling and seeing new places. Lets begin pre-celiacs, our first holiday together was Corfu, 2008. It was all inclusive and it rained…a lot! We were also stuck up a mountain with no where to go and the holiday rep got more than she bargained for when she tried to rip me off! We went back with family October 2010, that was a nicer experience. After that little semi-disaster we decided to take Anita’s wonderful Nan to Venice (2008) (it was on her bucket list so we had to), that was an experience. From her whacking people with her walking stick, talking to flies in the night, badgering us to get a bottle of Baileys on a Sunday (shops don’t open on Sundays) to her walking in the opposite direction to the flow of foot traffic and not understanding why no-one moves for the elderly. Never mind that the local elderly readily hop onto a push bike to make their way around. We did manage to get her to want to go up the tower in St Marks square even though she had to walk up the steps (her face was a picture before we told her there was a lift). Needless to say we went back a second time (just us, 2009) saw all the sites and ate and unholy amount of ice cream for breakfast followed by kebabs and AMAZING Italian pizza any other time we felt a twinge of hunger. We were lucky to catch the free international art festival, sit in the sun and watch the world go buy and see some fabulous nuns feed the pigeons. Then we went to Egypt (2009), where I got accused of being part of the mafia, had some big guy try to get me to eat peanuts out of his hand, went desert quad biking and almost got kidnapped in Naama Bay. All of this before getting a gun shoved in our faces for trying to have a wee in the airport (not on the floor if that’s what you’re thinking). It wasn’t all dodgy though, we made some good friends, got an extra night in the Hilton when our flight was cancelled, got to see the colours of the beautiful vibrant fish of the sea and watch the most amazing sunrise. Then I found out I had Coeliac disease, so no more all inclusive and gluten containing foods. This is where self catering and putting food in your suitcase comes in rather handy (thanks Rose for teaching my things I’ll never forget). We had the delights of Gran Canaria in May 2010 (we went back late December 2011), the Spanish are pretty on form here with gluten. Especially the Las Vegas steak house in Puerto Rico (we all highly recommend the steaks in this joint). We climbed the mountain to the cross in Arguiniguin, burned our feet on the sand dunes of Maspalomas and stumbled (literally) into the nudist beach (I was not mentally prepared for the “things” I saw that day, nor will the experience ever leave me) but I wont add any pictures from there. Followed by Portugal 2010. Portugal was a personal favourite of ours, we picked figs from trees, crushed peppercorns, made aloe vera masks (to help with my reaction to cheap suncream), cooked sea weed (VILE), spent days asleep on the beach, got chewed by the turning tide and did some brilliant trips (the Santa Bernada pirate ship was intense and a must if you stay near Portimao). Gluten free in Portugal is easy, just as with Corfu, once you find Lidl you are on to a winner. That brings us to this year 2012, firstly we went SC to Bulgaria to Ski. Only my second time and the slopes were amazing I spent as much time as my exhausted body would allow me to up the mountains in Bansko. My favourite memories are with the kids (nieces and nephews), especially catching the last lift to the top and skiing down empty slopes with heavy snow fall and only the sound of a whoosh and tree avalanches. Absolutely perfect. Then off to Berlin in March for my birthday, Anita’s grandad is German and it was worth going just to see his smile when we told him that’s where we were off to. We had an amazing time in this hectic city, we saw memorials, visited museums, visited a concentration camp, trudged the path of the Berlin wall (Anita’s grandad helped remove this back in ’89), took in the sights of the magnificent architecture and almost got accosted by Scientologists (although we were more afraid of the masked anti-scientology peaceful protesters). The most interesting experience was the hostel (the Metropol Hostel, which we would recommend the location is fab and the breakfast is not too shabby either). We shared a room with a naked French man who drank red wine with a heart monitor attached to his chest hair, the one legged man who frequently disappeared without said leg and accompanying special shoes, the Japanese student trying to find out why Turkish people move to Berlin, the German nurse man who reminded us of an asylum doctor and a very unsavoury Turkish man who did not so nice things to himself in the middle of the night!!! By far the best thing about Berlin was Simela, a very unique pizza bar in Savigny Platz. They serve Gluten Free, vegetarian and a whole host of other pizza options..and cheap too. Beautiful place (the loo is like an art gallery) with a comfortable atmosphere, it just feels effortlessly chic. Finally our last trip together was Brussels in August, it was a last minute thing that cost just £170 for flights and a 4* hotel next to the European Parliament for the 2 of us, YES the TWO of us (thanks Travel Republic!). We already had euros left over so we just booked it an left the UK for 3 nights. We went to museums, made some homeless friends, went to the flea market, bought jewellery off street sellers, watched a lot of talented buskers, went to the Brussels music festival and got very drunk on some very good Mojitos. Perfect little weekend away. Other than some fabulous times in Wales mackerel fishing, star fish rescuing, child burying, cow petting, dog walking and fire starting this is where we have been so far in our travelling life together and we hope you will enjoy reading about our shenanigans to come. So, vaccinations. The pain in the **** that we all inevitably must go through should we not wish to contract any nasties abroad. It took me a while to figure out what I needed and what was a possibility, the thing is it’s like catching a common cold it really is down to chances,the precautions you take and the preparations you make. Ever remember the coloured balls in a bag in primary school, the one that the teacher used to illustrate the possibility of you choosing a red one 3 times in a row?? If you don’t make the right choices (because they are choices and it’s only you that can make them) then the possibility of pulling that red infected ball out of the bag will be more likely. Well that is unless you are a mozzie magnet, the reasons for this are inconclusive but the precautions recommended are pretty much the same wherever you look. Firstly it’s important to figure out a rough itinerary, just a rough guide of which countries you will be going to and how long you will be there. Most of the travel information you will find or be given specifies certain provinces that you will/will not be at risk of catching a nasty, but in truth the only thing to do with that information will be to take extra precautions. For example Malaria prophylaxis there are some areas that you are more at risk than others, but the common advice given is just to continue taking anti-malaria medication and precautions the whole time you are in an “at risk” country. It is also advisable (depending on the antimalarial used) to take them for 1 to 2 weeks after you exit the risk areas. Consider the route in which you are travelling, I am going Australia to Asia so the vaccination prep will be different than if I was going Asia to Australia (this will be explained a little further down). Antimalarials are NOT a vaccine, they are a preventative measure. Once you have your plan (even a vague one at that), lets face it it’s supposed to be an adventure…right? DO NOT go straight to a travel clinic and tell them your itinerary, they will fleece you like there’s no tomorrow. See your GP Practice Nurse because there are a number of essentials that are given free without much explanation, be careful though there are some that your surgery can charge for if they wish. This NHS website gives a guide on what you may/may not need to pay for (check before you let them stab you), please note that not all can be provided at the GP surgery and you may have to use a specialist travel clinic. There are websites run by the NHS such as the Fit For Travel website that offers interactive maps that show you V/I’s recommended and helpful .PDF downloads with extra precautions. The clinics I have found that have the best prices are Well Travelled or MASTA clinics, these links take you to their price pages. For antimalarials the NHS website here gives details of the most popular types of tablet, they are all very different in the way in which they are taken as well as in price. You can also shop around on line for the best price with your private prescription, there are some you may not even need a prescription for. WARNING – check that any sites are legitimate and registered, e.g. Lloyds Pharmacy. It took me hours of searching and re-searching to find these websites so I thought I’d make them a little easier to find for those reading my blog. Because our route (Australia, India, Nepal, China, Vietnam, Cambodia, Laos, Thailand) means we will not be entering Asia for 12 months we have decided to have some V/I’s here and buy some in Australia. The reasons being cost and effectiveness over time. The Hepatitis courses must be given over 7 months or more (first, second a month later, third 6 months later), however, if you are pressed for time you can have an accelerated course (like I did) that involves 3 injections a month apart and then a booster when you return to the UK. I will be getting the antimalarial Doxycycline before I travel – because it’s cheap, it covers all areas of my travel and will act as a substitute to take in place of my closely related Tetralysal acne medication. It is hard to judge malaria medication as some places you will find have developed a resistance to certain medications, I used Fit For Travel to create this LIST that helped me chose. Others we need we have decided to get in Australia, the cost is not much different but we do not need to pay out of our savings (we have working visa’s and can pay out of what we earn). Plus certain V/I’s lose effectiveness in time since it was administered (100% > 80% > 60% .. and so on). I have found some helpful sites for prices of these vaccines, I also emailed them and received helpful responses about how easy it is to get over there. National Travel Health Network and Centre (NaTHNaC). DISCLAIMER – Everything I have talked about in this post is based on my research for my own preparations as well as personal opinion. It is based on my experience and requirements and is only intended to inform people of some of the many options and information for vaccines and immunisations available and is in no way an instruction to anyone who reads it. 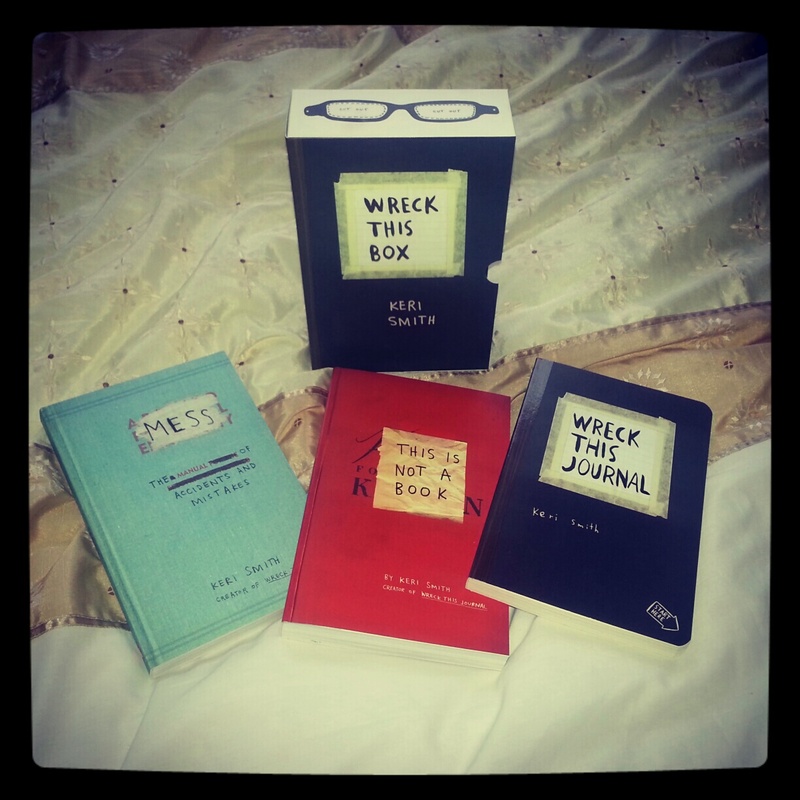 Why am I blogging? Because I can! I’ve been quite a few places and experienced quite a few things, the most of them began when I met Anita. For the last 6 years she has been there supporting me (and feeding me, and cleaning my clothes) while I worked 12 hour shifts and studied, we worked, we saved, we worked, we had a holiday and we saved some more. From the age of 19 we both had to keep our roof over our head, we were told not to rent because it was dead money. Yet we survived the housing market crashing in 2008 because we didn’t have a home to lose or fluctuating mortgage payments to contend with. We were always stable and able to save any extra that we earned. Then one day we looked at our bank balances and we were at the point where we had enough money for a deposit on a mortgage … now what? We had a choice – Invest or Blow? We decided to BLOW it … If blowing it means investing in meeting new and interesting people, having incredible experiences and everything that comes with booking the trip of a lifetime. (For a general idea read/watch Eat, Pray, Love! – Corny but so moving). Those who know me know I should have been a gypsy, I can’t stand to live in the same house too long and I’m miserable unless I have a trip or a holiday to look forward to. This has been the basis for my decision and more importantly NEED to travel though at least a continent or two in one stretch. I’m 25 if I’m ever going to do it, it has to be now! Our plan is simple (we just have a list of countries in a loop order) we will be starting in Sydney, Australia for 12 months then we will be moving on to India, Nepal, China, Vietnam, Laos, Cambodia and Thailand (we will need a holiday to get over the holiday at this point) and that should take us appox 18 months. Hopefully I will find something other to eat that fruit & veg because that will get a little tedious after a while! We are scared and we are excited, we are tentative yet definite we have made the right decision. To say we don’t have reservations would be a little fib, mainly because we have already been in the responsible adult life for so long it will be quite different for us to throw away that responsibility and simply enjoy what happens (although I’m sure it wont take all that long). So this blog is for friends, family and anyone else who is mildly interested in what we are doing, when we are doing it and where we are doing it. This is the beginning of what will certainly be an amazing experience and you can enjoy it with us!! DO NOT feed the backpacker! Want to know more? Get email updates! A gluten free, coeliac-friendly blog by Sarah Howells covering gluten free recipes, reviews, and living a healthy life - with plenty of gluten free pizza!